Recently, along the ‘avenue Blonden’ street in Liegè, Belgium, two smaller tunnels (’Blonden’ and ‘Paradis’) were united to create one large traffic tunnel. The BB LEDlightpipe is used to illuminate the tunnel with a continues light line to create a pleasent and glare free passage for the traffic. The BB LEDlightpipe HLO is used for the entrance zone illumination to make a smooth transition from outside to inside. Recently, Along the ‘avenue Blonden’ street in Liegè, Two smaller tunnels (’Blonden’ and ‘Paradis’) were united to create one large car tunnel. The new one-way traffic tunnel was given the name ‘Blonden’ and has a total length of almost 500 meters. In contrast with the renovated traffic tunnel underneath the Quai Mative a couple of years ago this new car tunnel is integrally lighted through the use of energy-saving BB LEDlightpipes, supplied by Techno Specials from Gent. is new project is the seventh traffic tunnel project in the city of Liegè which is being renovated by the Service Public de Wallonie (SPW) in the last couple of years. The Blonden project was executed by the temporary association ‘YvanPaque-VSE’ and was completed at the end of June 2015. In contrast to project Quai Mativa, which had two entrances and one exit, the Blonden car tunnel consists solely of one entrance and one exit. The vehicles drive on two lanes in the same direction on the Aveneu Blonden street. Before entering the new tunnel both lanes are combined in one driving lane. When leaving the tunnel the vehicles end up at the ‘Quai de La Meuse’ street. The old small Blonden was totally stripped on the inside, all cables, lighting, air vents and detectors were removed. The, by dust and emission gasses, polluted walls inside the tunnel were cleaned using high pressure methods. Furthermore, new air vents, ‘jet-booster’ models from a Swedish manufacturer, were installed. These air vents ensure a rise in hydraulic capacity up to 20%. “Since the part which needed to be renovated was limited in height, 4,40 meters, were the contractors forced to install the BB LEDlightpipes on the sidewalls. The lights were installed this way to reduce the possibility that they were damaged by large trucks. 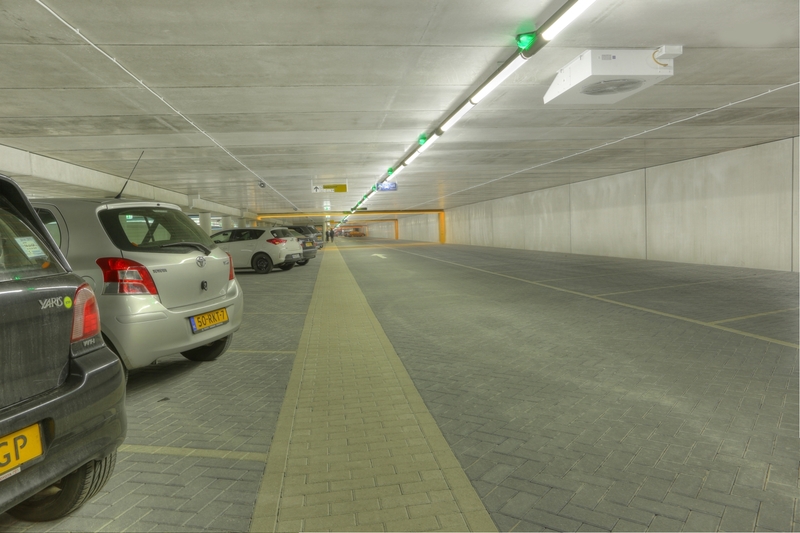 This was the first time that a tunnel in Belgium was totally equipped with Led-lighting Next to the basis lighting level, three levels of dimmable lighting were introduced which are adjusted depending on the weather outside. When the weather is more clear the lighting gets clearer as well. This is done automatically with the use of the DALI light control system.”As said by Rudi Noel, Engineer and Leading government official at VSE. In the newly dug part of the tunnel the height of the tunnel is 5.4 meters which allowed the installment of the BB LEDlightpipes on the regular spot, right above the driving lane. On these sports only the basis LED-lighting was provided. Every BB LEDlightpipe provides a lucidity of 62 Watt. Furthermore, besides the BB LEDlightpipes, a galvanized cable carrying system from Nidal was used to conform with the new fire regulations of the province over the whole length of the traffic tunnel. 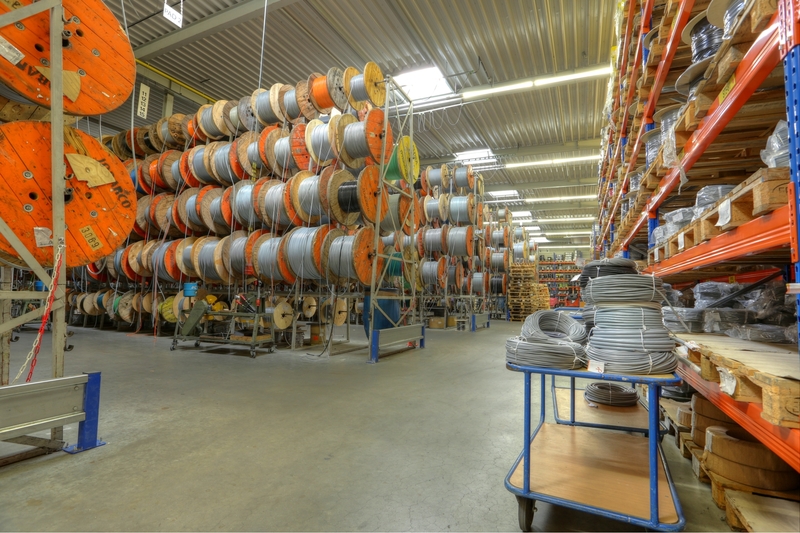 These new fire regulations state that the use of a wide cable carrying system is compulsory, even though in this case only one cable with a diameter of 500 mm is used. "First car tunnel in Belgium, entirely lighted by LED lighting, equipped with BB LEDlightpipes"
With the lighting of this tunnel, fluorescent lights are no longer used, this in comparison with the ‘Quai Mativa’ tunnel. In this new tunnel LED-lighting is exclusively used. Next to the usual five levels of lighting an extra level of lighting is added. The first level is the usual ‘basic nightlighting’ which can be dimmed to 10 percent of the full capacity. The second level is the lighting during the day. In the case in which the natural light has reached a certain point the lighting is dimmed to 65 percent capacity. Furthermore, three more lighting schemes are created, namely ‘sunny’, ‘clear’ and ‘dark’. Ing. Rudy Noël from SPW created a sixth scheme namely ‘extra dark’. “There were circumstances in which the level ‘dark’ wasn’t clear enough. Especially in the dark winter months the ‘extra dark’ level will be used since it is darker outside. This new extra level reduces glare and blinding effects when a tunnel is being entered or left and thus this extra scheme increases the safety of the drivers.”The same anti-blindness technique is used in the Quai Mativa tunnel. The BB LEDlightpipes which were installed in the Quai Mativa tunnel three years ago still function perfectly.